Join us later this week at Schwartz Living Market at 1317 East Carson Street in Pittsburgh's Historic South Side on Thursday, Friday, and Saturday from 11 AM to 5 PM. We will be closed this coming Tuesday, December 31, New Year's eve, and Wednesday, January 1, 2014, for New Year's Day. Happy New Year from everyone at the market and behind the scenes! We also would like to thank the South Side Anglican Church whose congregation worships in the space on Sundays. 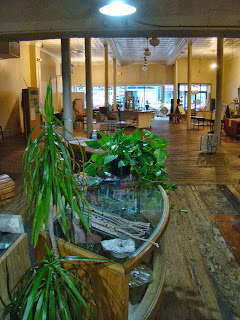 Scroll back in this blog to read our Vision Statement and see what's in store for 2014 and beyond as we continue working in slow mindful development at 1317 East Carson Street, our Urban Oasis for Healthful Living and the center of our Permaculture, Transition Town process in the heart of Pittsburgh's Historic Main Street! We are so excited! All the best for a healthy, happy and amazingly transformational 2014! From all of us at 1317 East Carson Street! Join Schwartz Living Market on Facebook! Holiday Hours at Schwartz Living Market and Indecision Reunited Jamming Saturday, December 28 from 9:00 to 10:00 PM! Happy Holidays! The market is closed until Thursday, December 26, 2013. The Enchanted Garden﻿ Juice Bar will reopen this coming Thursday, December 26, from 11:00 AM to 5:00 PM, and Jonathan's Foods﻿ will reopen this coming Friday, December 27, 2013. On Saturday, December 28, 2013, shop at Third Day Organics, Soup for Your Soul, Designs by Gloria Jewelry, Jonathan's Foods, and The Enchanted Garden Juice Bar. The Vision Gym's developmental optometrist, Elisa Beck, will be there too on Saturday. Also, David Smith of Yellow Corn Native American Recovery. Mark your calendar for an exciting music event this Saturday evening December 28, 2013, at Schwartz Living Market﻿ from 6:00 to 10:00 PM. Between 9:00 and 10:00 PM, Tamon Oshimo from East Africa, and Brendan Lowrey from Shadyside, PA, will be jamming with Indecision Reunited! Enjoying delicious gluten-free vegan food and juices from the vendors at Schwartz Living Market. 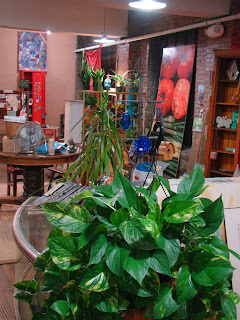 Schwartz Living Market is open five days a week! Tuesdays through Saturdays 11 AM to 5 PM! 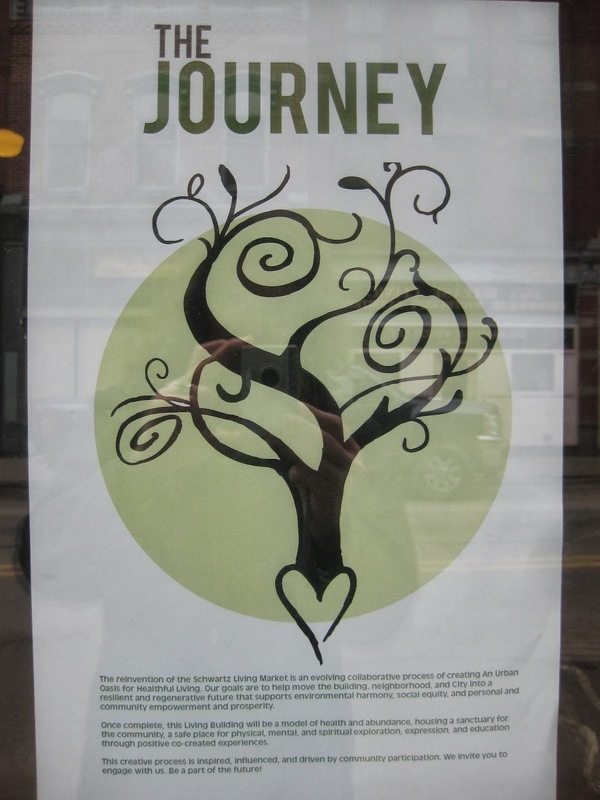 Join the Journey! We are so excited Schwartz Living Market is now open five days a week! Market Hours: Tuesdays through Saturdays 11 AM to 5 PM! C&G Animal Delights, all natural pet treats, toys and gifts for dogs and cats, December 21, 2013, only! Check the Schwartz Living Market Facebook page for Saturday evening details and updates and go to http://1317eastcarson.blogspot.com for updates too! 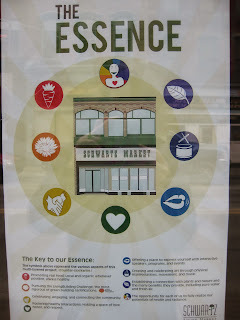 My Thought for the Day: Perhaps 1317 East Carson Street is the Urban Oasis for Healthful Living (our current market tag line) and Schwartz Living Market is the 'Regenerative Engine That Could', the 'Engine for Green Growth for the project and processing at large'. 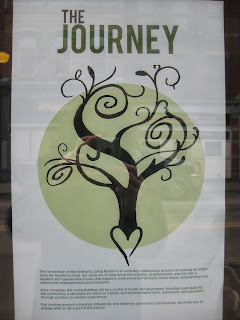 Watch this amazing talk for an hour and forty five minutes with Polly Higgins and Charles Eisenstein, and you will understand more about the process and the goals of this Transition Town, Natural Step, Social & Earth Equity, Living Building Challenge process at 1317 East Carson Street. You'll hear the words and hear examples of Permaculture and Transition Town in action. After all, the Earth is calling us! http://www.youtube.com/watch?v=bTyY2VSq7R4&feature=youtu.be! Thoughts anyone?! The market process is the foundation for all that is yet to develop. Be part of the process Thursday afternoons at the market with yours truly in the Visioning/vision Gym! Dress to move! 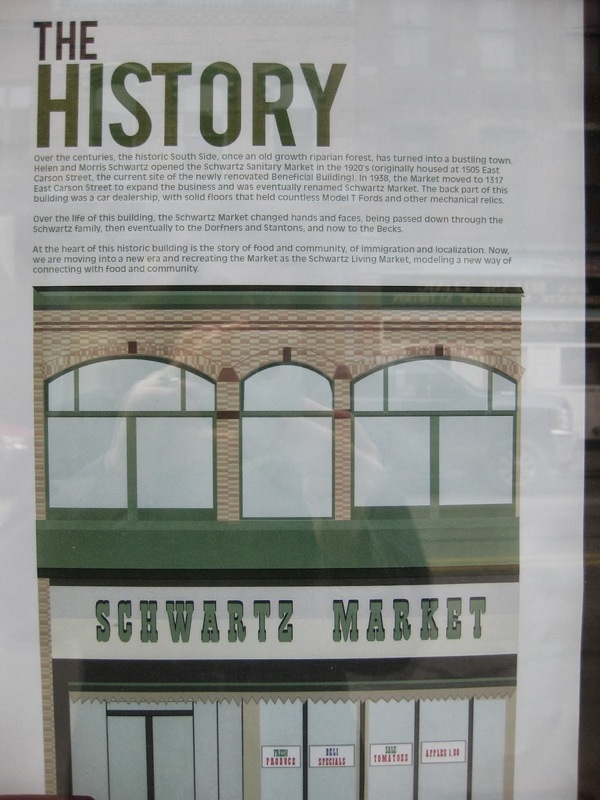 Vendor inquiries through the Schwartz Living Market Facebook page, schwartzlivingmarket@gmail.com or 412-491-0303. Share this blog address : http://1317eastcarson.blogspot.com too! 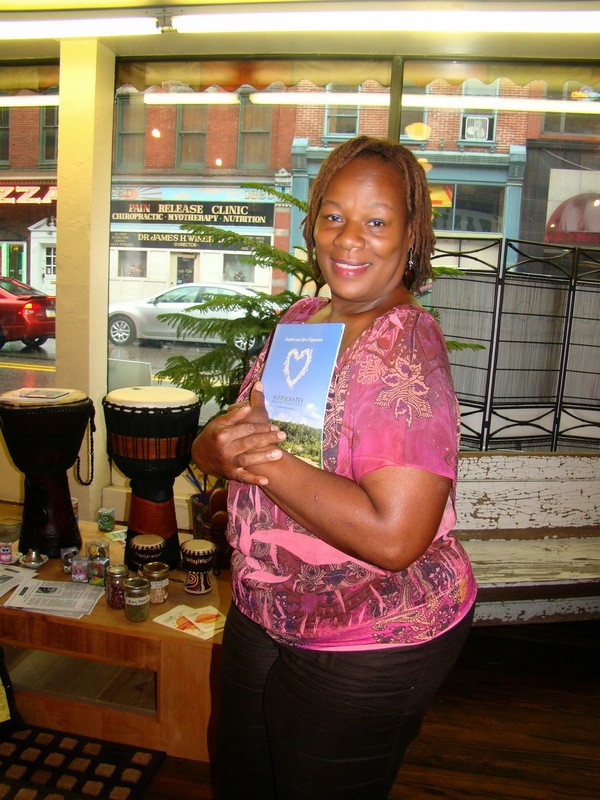 Join us at Schwartz Living Market: An Urban Oasis for Healthful Living, on Saturday, November 30, 2013, at 1:00 PM to hear Patricia Lemer, author of Envisioning a Bright Future, and sample some deliciousness! from Patty: "Want to stay on your elimination diet over the holidays? Need some support? Ideas? Join Patricia Lemer, local counselor, author, foodie, and dietary specialist to learn about how to make traditional Chanukah and Christmas goodies without poisoning your family! We will introduce you to gluten- casein- and soy-free latkes, cookies, cakes, truffles, and roasted nuts. Best of all, pick up recipes and run home to make your favorite sweets just in time for gifts and a party!" We are the new home of The Enchanted Garden Juice Bar, and Jonathan's Foods Tuesday through Saturdays from 11:00 AM to 5 PM. Vendors on Saturdays include: Third Day Organics soaps, lotions and more; Dragonfly Castle Toys; Designs by Gloria vintage and handmade jewelry; Yellow Corn Native American Recovery; Native American Fine Art by Harry Nez, Vision Gym Education with Elisa B.H. Beck, developmental optometrist and somatic movement educator; and more! 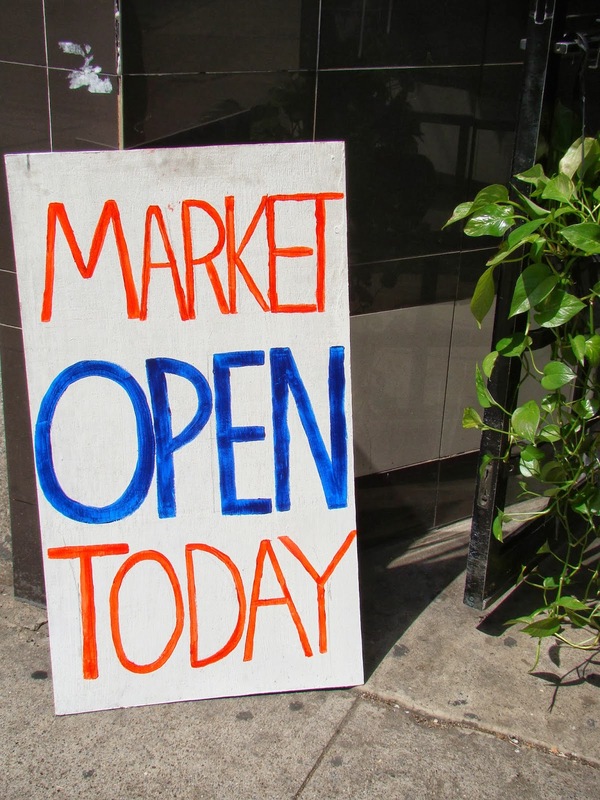 The market experience is free and open to the public. Join us Tuesdays through Saturdays and bring along a friend or two or three! Free parking behind the market across Bingham Street! Free Lecture Demonstration on Saturday, November 2, 2013 at 1:00 PM with Tasso Spanos certified Trigger Point Myofascial Therapist: Freedom From Physical Pain! Everyone has experienced pain, but often pain can become chronic & debilitating. Whether you suffer from carpal tunnel syndrome, tennis elbow, Fibromyalgia, migraines or back pain, this lecture is a must see! Mr. Spanos is a certified Trigger Point Myofascial Therapist with over 30 years experience solving pain problems. A student of Dr. Janet Travell, White House physician to Presidents Kennedy and Johnson, Tasso delivers more than all the aspirin in the world! Known in Pittsburgh, PA and at the Chautauqua Institute as a “life saver”, Tasso brings his knowledge and expertise to Pittsburgh’s Historic South Side at Schwartz Living Market! 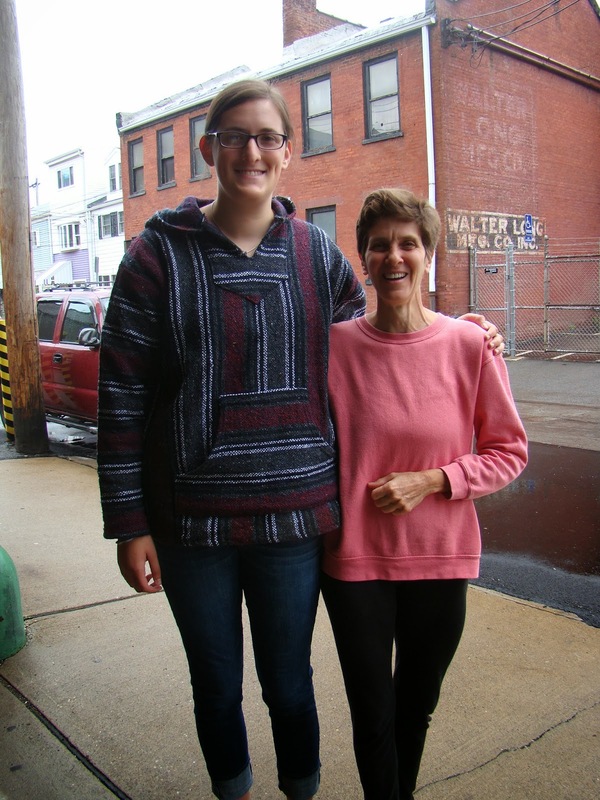 Schwartz Living Market hosts 4th River Free Skool and more on Saturday, October 19, 2013! 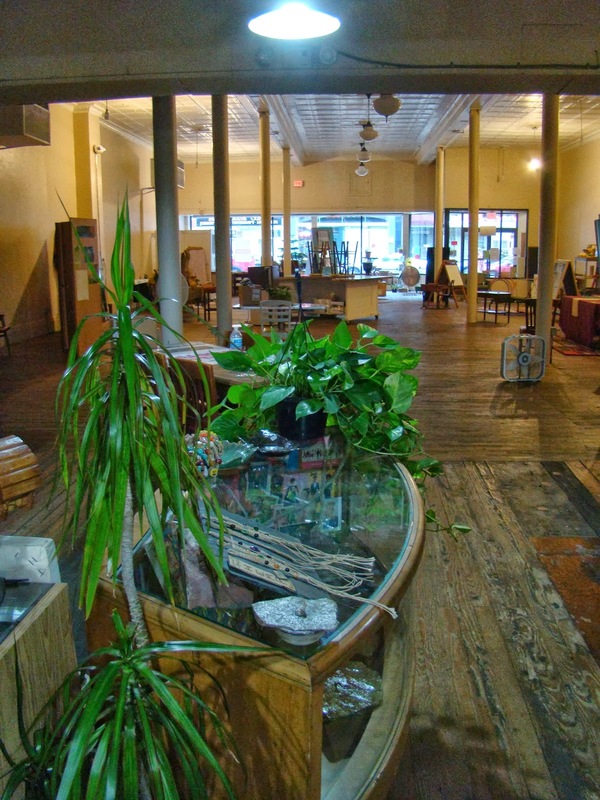 Schwartz Living Market hosts 4th River Free Skool10-19-2013 Noon to 8:00PM! 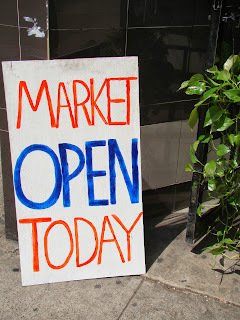 Regular market hours are Tuesday through Saturday 11:00 AM to 5:00 PM. Come one, come all! 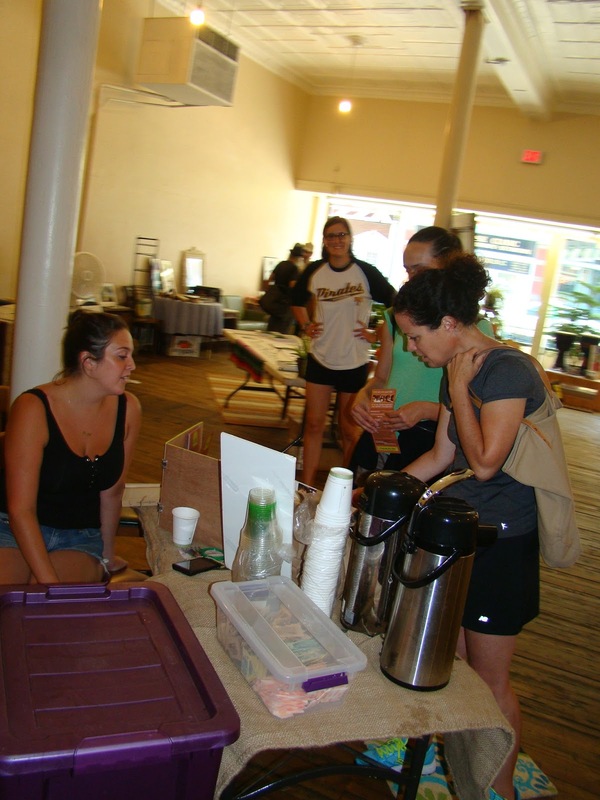 Saturday, October 19, 2013, Schwartz Living Market at 1317 East Carson Street in Pittsburgh’s Historic South Side hosts 4th River Free Skool! The market will be open with The Enchanted Garden Juice Bar from 11 AM to at least 5 PM as well and other vendors including Third Day Organics, Owlet Organics, Dame Ashley's Attic, handmade and vintage jewelry by Gloria, Yellow Corn Native American Recovery, Harry Nez's Fine Native American Art, Alanna and Odin's Four Winds Metaphysical/Healing, Designs by Lauren DeKleva, and more! Free parking behind the market across Bingham for market customers. Then walk around the block and come on in the front door on East Carson Street! A few simple DIY demos will be added to clothing swap during this hour (clothing swap starts at 12). Learn how to cut a T-shirt into a racer-back tank, turn old jeans into a rad utility belt and more. Try it out on something you find at the swap! Most of the demos will be no-sew but there will be a sewing machine available for use. Bring safety pins, decorative items, thread, and other materials you think might be useful. Herbal Preparations Demo with Michelle Czolba. 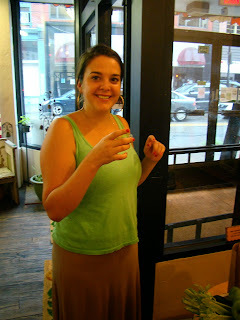 Come and learn how to make herbal tinctures using the simpler's method. It is quick, easy and oftentimes dirty. Bring a 4 ounce jar if you'd like to make your own during class. We will tincture whatever is ready to be put up. 9-year-old Judah will talk about living a vegan lifestyle. Yoga is the language of breath and movement. In a basic power vinyasa class, students learn the Ujjayi breathing technique and how to use it in the varying parts of a yoga practice. A power practice can be challenging and taking rest when your body calls for it is of utmost importance. In breath, movement, and rest we all participate in the process of self-discovery; getting to know our limits and furthering them at our own comfort level with full awareness of mind, body and breath. Poi Spinning 101 with Faith Hersey. Learn the basics of the Maori art of spinning balls on strings and how to make your own practice poi. Two practice poi will be available. Artistic License 101 with James Bristol. Introduction to creative thinking. Explore processes to access inner creativity. Practice techniques for allowing flow of ideas. Apply ideas though various mediums such as graphite, charcoal, pastel, colored pencil and acrylic paint. Kids' Story Writing with Cecil Merlin. Understanding the Cause of Health with Amanda Maloney. Natural Hygiene is literally the science of health. It is about identifying the cause or causes of a disease, as opposed to simply diagnosing and attempting (futilely) to cover up symptoms. By addressing the causes, it is therefore the next logical step to stop doing what is causing the problems, whether it be rooted emotionally, physically, spiritually, or mentally. A common factor in many people's dis-ease is diet, a close second being exercise, and a third certainly being sleep/meditation. There are many factors that create (or destroy) health, and they all need to be addressed. Sunshine, fresh air, connection with others and relationships, love of nature, are all important examples. Fermentation 101 with Isaac Hill. Pittsburgh for Trayvon Martin with Tamisha Evonne. Gong Demo with Mike Tamburo. In addition to everything listed above, Elisa Beck, Developmental Optometrist, will be offering a VisionGym experience. $12.00/adult and $7.00/child age 12 and under from 2:00 to 3:00 PM. Register on the spot or pre-register by calling Dr. Elisa Beck at 412-491-0303. 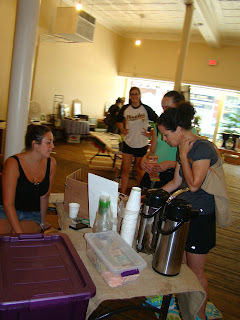 Welcome Enchanted Garden Juice Bar to Schwartz Living Market! A busy day at Schwartz Living Market! Enjoy Schwartz Living Market Tuesdays through Saturdays from 11AM to 5 PM with The Enchanted Garden Juice Bar and more!! Eleven AM to Five PM Tuesday through Saturday!!! Jackie Day, Owner of The Enchanted Garden, and Carmen! The Enchanted Garden Juice Bar will be opening in Schwartz Living Market Saturday, October 12, 2013!! We are so excited! 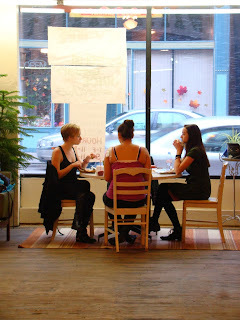 The juice bar and retail space will be open Tuesdays through Saturdays from 11 AM to 5 PM. Beginning in November, 2013, yup, a month from now, Jonathan's Foods will be open Tuesdays through Saturdays 11 AM to 5 PM, too. Yippee! We have space for more food and arts vendors. Inquire by messaging Schwartz Living Market on Facebook, e-mailing schwartzlivingmarket@gmail.com or calling or texting Paul at 724-787-5788 or calling 412-491-0303. Schwartz Living Market is hosting the 4th River Free Skool on Saturday, October 19, 2013. I plan to offer two short classes at Free Skool on Saturday, October 19, one called 'What is the Living Building Challenge?' and one called 'What is Optometric Vision Therapy?'. Many, many other classes will be offered. Go to: http://www.fourthriverfreeskool.com and the 4th River Free Skool Facebook page for details. Elisa Beck, Developmental Optometrist, is offering two one hour VisionGym Experiences for all ages on Saturday, October 12 and Saturday, October 19, 2013, from 2:00 to 3:00 PM. Cost is $12.00/class for adults and $7.00/class for children under age 12. Register by calling Dr. Beck at 412-491-0303 or pay on site. At 12:15 PM she will present AKIMBA, the Magic Cow! for children and adults of all ages! Suggested Donation is $1.00/child. Experience the magic of wonderful stories from nature, fairy tales, and cultural tales including nursery rhymes! Jeff Newman is beginning to document the Deconstruction portion for Living Building Challenge Petal Recognition requirements. Thanks Jeff! Brad continues to help out with behind the scenes logistics. Thanks Brad! Thanks Liz for organizing the Zoo Roof tour! Thanks to everyone for continuing on this journey....Lauren for being there and organizing, and vending. Manager Paul for plugging along and educating the folk, Mark for filming...Pam for continuing to be available and collecting data for the upcoming web site. and most of all Stan, for being the best Dad and sprout farmer husband ever, and for supporting this process and me and my determination more than anyone else does!!! Saturdays 11:00 AM to 3:00 PM at Schwartz Living Market! Upcoming Classes with Cynthia Hill of Third Day Organics and experience Elisa Beck's Vision and Movement Gym for all ages! Join us at Schwartz Living Market on Saturdays between 11:00 AM and 3:00 PM for some fun and food and shopping, for fine Arts and Crafts and for your shot of organic wheatgrass juice and the fresh juice of the day! Go to the Schwartz Living Market Facebook page for up to date details and email schwartzlivingmarket@gmail with any question you can think of! Elisa Beck, Developmental Optometrist, is offering two one hour Vision and Movement Gym Experiences for all ages on Saturday, October 12 and Saturday, October 19, 2013, from 2:00 to 3:00 PM. Cost is $12.00/class for adults and $7.00/class for children under age 12. Register by calling Dr. Beck at 412-491-0303. Puppet Shows on Saturday October 12 at 11:30 AM and 12:15 PM! Laura and Cecily... Thanks for the delicious wheat grass from Juice Heaven! Wonderful healthful living books for sale! 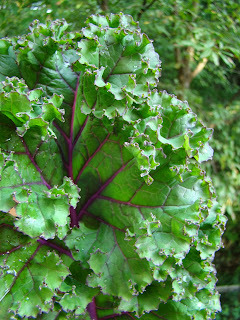 Kale is delicious and nutritious! 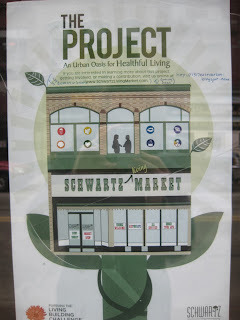 Vinyasa Flow Yogafit Yoga on Tuesdays from 6:30 to 7:30 PM at 1317 East Carson Street, the home of Schwartz Living Market with Kim Massie and What is this project at 1317 East Carson Street? What are we doing, what is the project at 1317 East Carson Street about? I'd like to ask you that question. What are you doing? How do you see the world? How do you see yourself? How would you like to engage in this cultural transformational process? What are the phases of the process, how does the founder of the Transition Town process, Rob Hopkins, describe Transition Town, the movement from Peak Oil to Resilience? What is Permaculture, why bother? What is Somatic Movement Education, and how do we infuse ourselves and others with its glorious essence? What is the Living Building Challenge? 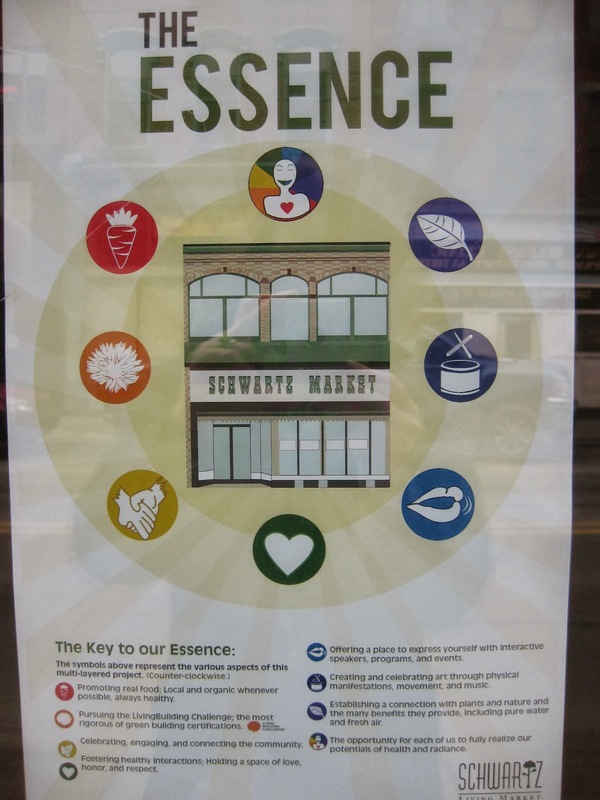 All of these processes, and much more, are part of the seeds sprouting at 1317 East Carson Street, the home of Schwartz Living Market. Join some Alternative Action On East Carson Street! Black Yoga at 1317 East Carson Street on Tuesdays from 6:30 PM to 7:30 PM with Kim Massie. I thought to myself, what the heck am I doing taking a Yoga class tonight? You see, I had cranked my back out of whack a few weeks ago and really thought I needed to see a Chiropractor. But, as one of the owners of the building at 1317 East Carson Street, I knew I needed to be at that first class to see and experience just what Black Yoga is. It was incredible. I asked Kim before the class if it was o.k. for me to not necessarily do what everyone else in the class was doing. She said, "Sure." That's part of the point. The point being not to worry about what you look like, how you are doing. Just be there, and be.... Hey that is what Yoga is all about anyway. Being, at all times in your life walk, not just when you take the class.... is Yoga. As I am professionally trained in Ballet, the idea of not following the teacher the whole time and the teacher really, truly being o.k. with that was close to a first. Well, for me not really, as I am also a certified Somatic Movement Educator from the School for Body Mind Movement, www.bodymindmovement.org and I have been now in loads and loads of classes that do not require exact following of the class, but I know this is not a mainstream concept. Or...maybe it is, just not in the circles I've been part of! So for the first half of the class I just laid there and wished someone would turn off the music. Then I suddenly started doing the poses. With the WARRIOR pose, I started ROCKing. I am the woman warrior I've been waiting for. And that drone music really got me GOING! The pain in my back is much less. Like I said...amazing. The best part is that I did just what I was able to do. I worked within my elastic barrier, a term I learned from local Pittsburgh Yogi Sheila Caffrey many moons ago. I'm not sure if she coined the term, but I've sure used it for many years in my profession when I describe and recommend to folks how to do their work, in this case exercise, in the case of my profession, vision therapy. I will facilitate a Vision Gym the second and third Saturdays in October, from 2:00 PM to 3:00 PM. Come learn about what a developmental optometrist is, what vision therapy is all about, and experience some expansion of your vision! Go to the Schwartz Living Market Facebook page for details and this blog as we get closer to October. Let us know your thoughts and let's try something new...together! And back to the original question...what is this project about? And what does this all literally have to do with the word Deconstruction? Hey, that will be the subject of a future blog, and in the meantime, it is food for thought! Come join us when we are open, every Saturday between 11:00 AM and 3:00 PM at 1317 East Carson Street, eat some wonderful food and drink some amazing juices, meet some wonderfully diverse people, and we will learn and plan it all out together! Free parking behind the market across Bingham Street! 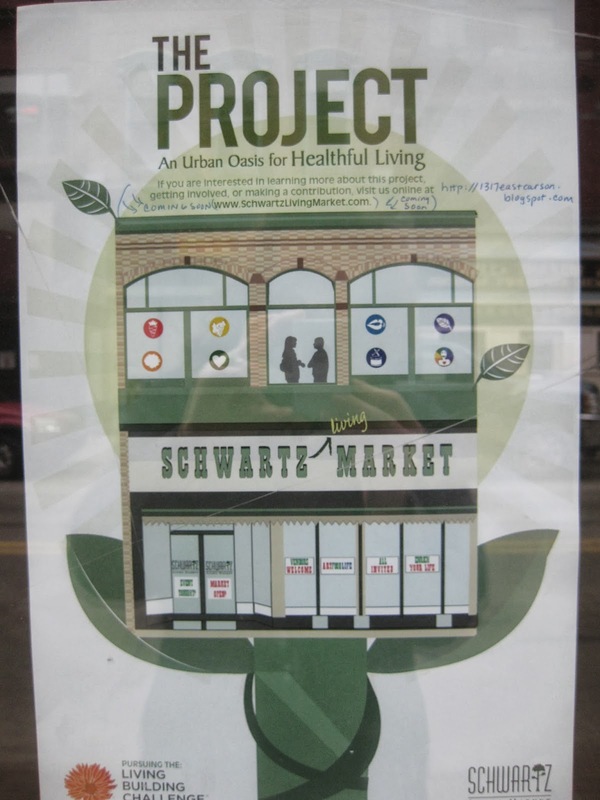 Summer Saturdays at Schwartz Living Market in Pittsburgh's Historic South Side! Eleven AM to Three PM. Invite some friends. Park for free! Join us every Saturday this summer from 11:00 AM to 3:00 PM at Schwartz Living Market! Drink a shot of wheat grass juice and another fresh juice of the day...Support the local economy and small businesses. Learn from us, and let's teach one another! Shots of wheatgrass juice are good for you! If you are a beginner, start with a one ounce shot twice a day. After a day or so, two ounces twice a day! Saturday, July 27, 2013 from 11:00 AM to 3:00 PM. Soulful Jonathan of Jonathan's Foods will be serving his delicious vegan food made with lots of love and pure ingredients, and the Green Mango Thai Cafe will be there with Summer Rolls, Summer Thai Salads, and fresh fruit drinks. Ling, Jeff Schwartz and Mark of Green Mango Thai Cafe. Magnificent Art by Native American Artist Harry Nez. Purchase the book Bioshelter Market Garden: A Permaculture Farm by Darrell Frey. Displays by the non- profits Three Sisters Farm, and Yellow Corn Native American Recovery. Third Day Organics and more! Free parking for customers behind the market across Bingham Street! July 20, 2013 at Schwartz Living Market! 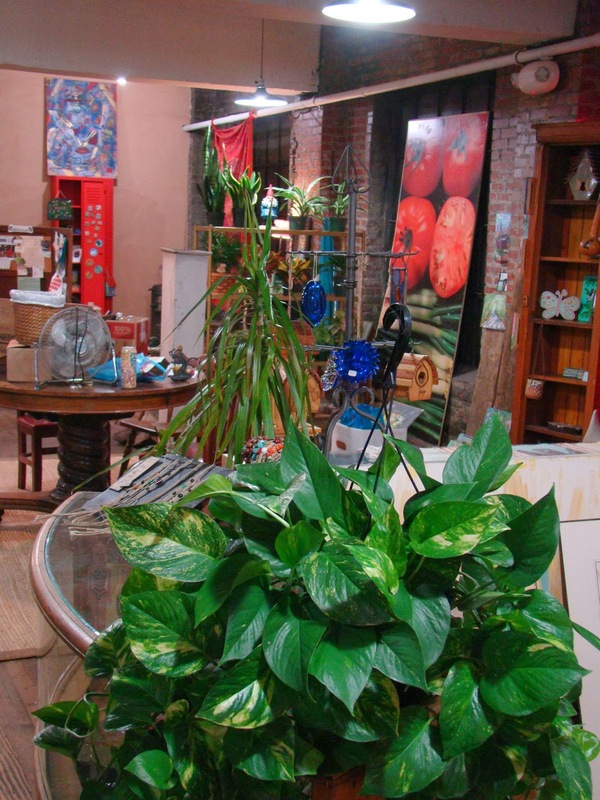 Join Us and Come explore Schwartz Living Market on Saturdays between 11:00 AM and 3:00 PM! Tell all of your friends, neighbors and family to join us too! Today come see and buy artwork by Richard Snyder, Laura Beck, and others, come experience Reiki with Paul Dalton; Eat delicious hummus wraps, cheese less cheesecake and more by Jonathan. Enjoy lemongrass salad, summer rolls, and fresh fruit drinks by Green Mango Thai Cafe. Come drink healthy wheatgrass juice by Schwartz Living Market. 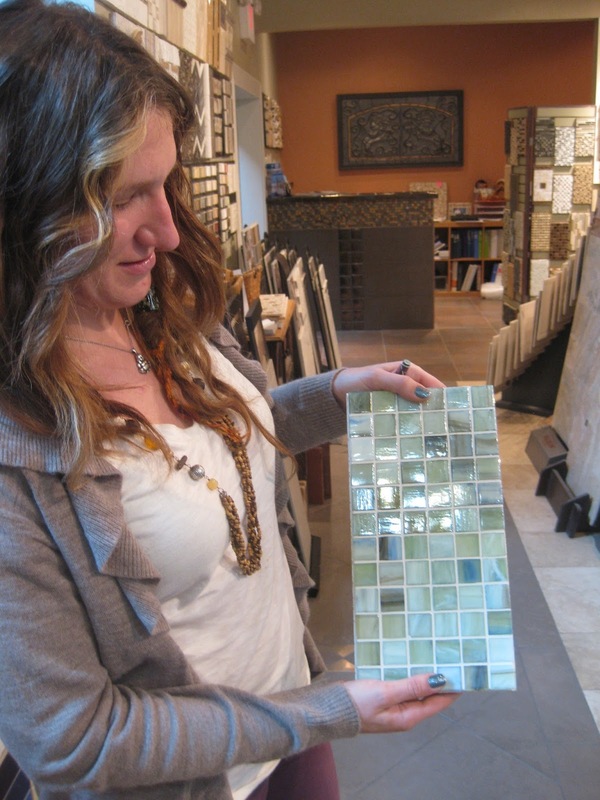 Learn from Lauren DeCleva of Interior Images. 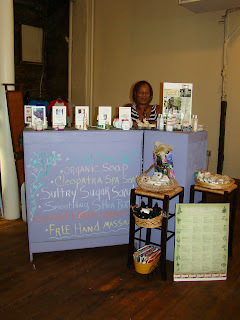 Buy wonderful soaps and salves from Cynthia Hill of Third Day Organics, and Tenache Golden of Rosaflora Botanicals! Thanks so much to Kyle Winkler and the Zero Waste Program of the Pennsylvania Resources Council for Composting, Recycling and more! Saturday, July 13, 2013, from 11:00 AM to 3:00 PM and photo highlights of Brian Clement's visit to Schwartz Living Market! Join us this coming Saturday, July 13, 2013, from 11:00 AM to 3:00 PM. Fresh shots of wheatgrass juice to cleanse your amazing body will be available this Saturday and every Saturday. Other wonderful healthy food and juices available for purchase too. 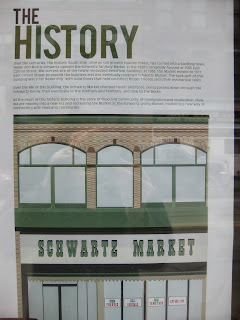 Please follow and share our blog address: http://1317eastcarson.blogspot.com far and wide, and LIKE Schwartz Living Market on Facebook! Learning about sprouting sunflower sprouts and wheat grass! This coming Saturday, July13, 2013, our featured vendors will be Building New Hope, fairly traded shade grown organic coffee, Cynthia Hill of Third Day Organics, Tenache Golden of Rosaflora Botanicals, David Smith of Yellow Corn Native American Recovery, Elisa Beck of the South Side Vision Gym educational space, Jonathan DiSalle of Jonathan's Foods, Ling and Mark of Green Mango Thai Cafe, Laura Beck photography, Richard Snyder photography, and more! Brain Clement talking about the RAW Foods lifestyle at Schwartz Living Market. Stay tuned for announcements about upcoming speakers! About 50 of us had a wonderful time listening to a lecture by Brian Clement, Ph.D., N.M.D. , L.N. Co-Director of the Hippocrates Health Institute located in West Palm Beach, Florida, this past Wednesday, July 3, 2013. Following his amazing talk, he signed books he wrote! We have books available on site for purchase, including LIFEFORCE, Anna Marie Clement's cook book on Healthful Living which is a completely RAW cookbook, and more! Surprise visitors included Brian Clement's wife, Anna Marie Clement, co-director of the Hippocrates Health Institute, and the Clement's son, Blake! Living Foods For Optimal Health, Healthful Cuisine and other books for sale on site at 1317 East Carson Street, the new home for Schwartz Living Market! Direct inquiries for vendor opportunities to market manager Paul at 724-787-5788. Current hours of operation are 11:00 AM to 3:00 PM Saturdays. Join Us with some friends and family! Schwartz Living Market open Saturdays 11:00 AM to 3:00 PM this summer! Happy 4th of July weekend! Join us today and every Saturdays between 11:00 AM and 3:00 PM! A Celebration of Health, Happiness and Freedom! Brian Clement, Ph.D., N.M.D., L.N. keynote speaker at Schwartz Living Market special night market on Wednesday evening, July 3, 2013. Market 5:00 to 9:00 PM with Dr. Clement keynote at 7:00 PM followed by Q&A and Book signing! 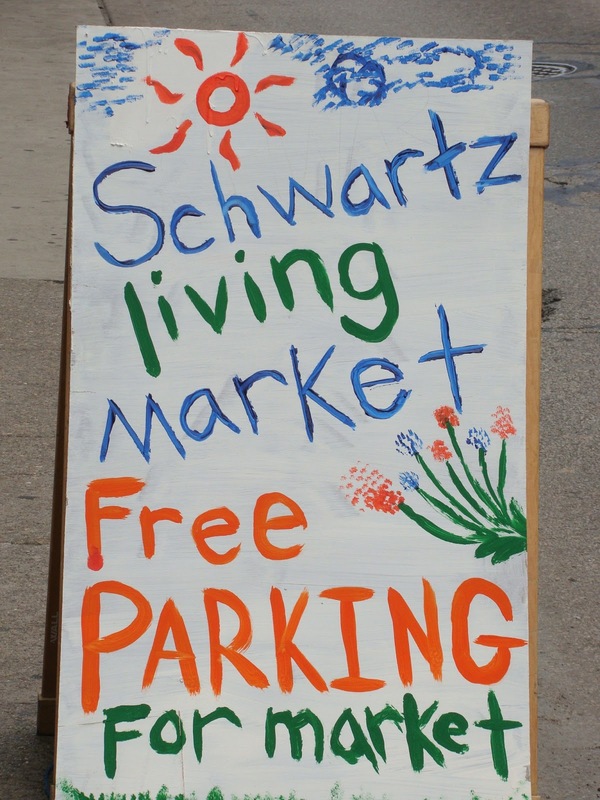 Schwartz Living Market is now open Saturdays from 11:00 AM to 3:00 PM! Special Night Market Wednesday, July 3, 2013, from 5:00 to 9:00 PM with keynote speaker, 7:00 PM: Brian Clement, Ph.D., N.M.D, L.N., Director of the Hippocrates Health Institute in West Palm Beach, Florida! Bring your appetite for wheat grass juice, The Green Mango Thai Cafe and fresh raw juices! Join us!! Join us for a special healthful Schwartz Living Market Mini- Market on Wednesday evening, July 3, 2013, from 5:00 to 9:00 PM, with Brian Clement, Ph.D., Co-Director of the Hippocrates Health Institute in West Palm Beach, Florida. Join us for Dr. Clement's talk A Celebration of Health, Happiness, and Freedom at 7:00 PM followed by Q&A and book signing! Cost is $10.00/person for Dr. Clement's talk at the door. Cash or check accepted. 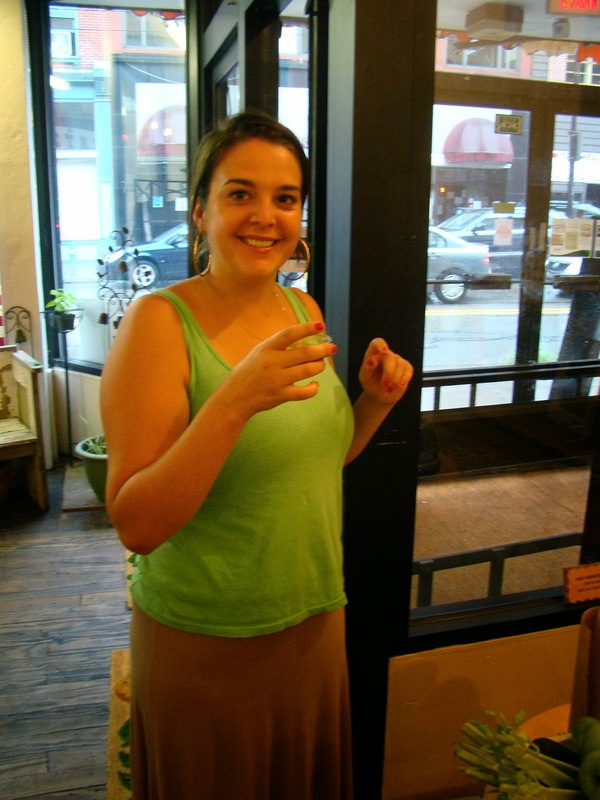 Direct inquires to Elisa Beck at 412-491-0303. 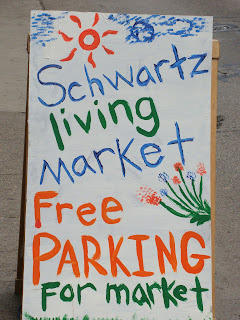 Free parking for Schwartz Living Market customers behind the market across Bingham Street! Book signing by Dr. Brian Clement following Q&A on Wednesday evening, July 3, 2013!